Shimano Mens Long Sleeve Vented Shirt - Oatmeal Shimano’s Legendary Vented Long Sleeve shirt needs no introduction. Designed for anglers who demands the best, this 100% polyester material is quick dry and stain resistant. Available in men's sizes from small to XXXL there is a model to fit every fisherman in oatmeal and skyway blue. Make sure you stay protected while out fishing in Shimano’s Legendary Vented Shirt with UPF30+ Protection from the harsh Australia Sun! Great Gift Idea! Shimano Mens Long Sleeve Vented Shirt - Skyway Blue Shimano’s Legendary Vented Long Sleeve shirt needs no introduction. Designed for anglers who demands the best, this 100% polyester material is quick dry and stain resistant. 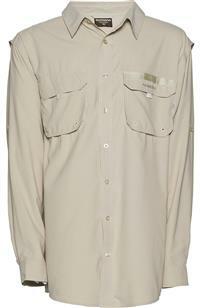 Available in men's sizes from small to XXXL there is a model to fit every fisherman in oatmeal and skyway blue. Make sure you stay protected while out fishing in Shimano’s Legendary Vented Shirt with UPF30+ Protection from the harsh Australia Sun! Great Gift Idea! 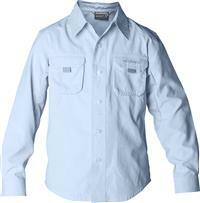 The legendary Shimano Long sleeve vented shirt needs no introduction. 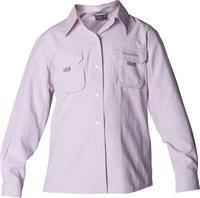 Designed for fisherman & fisherwomen who demands the best this 100% polyester material is Quick dry and stain resistant. Now available in Ladies Aqua! 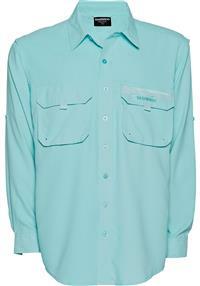 The legendary Shimano Long sleeve vented shirt needs no introduction. Designed for fisherman & fisherwomen who demands the best this 100% polyester material is Quick dry and stain resistant. Now available in Ladies Lilac!